Sort Column in Excel (Examples) | How to Sort Column in Excel? How to Sort a Column in Excel? 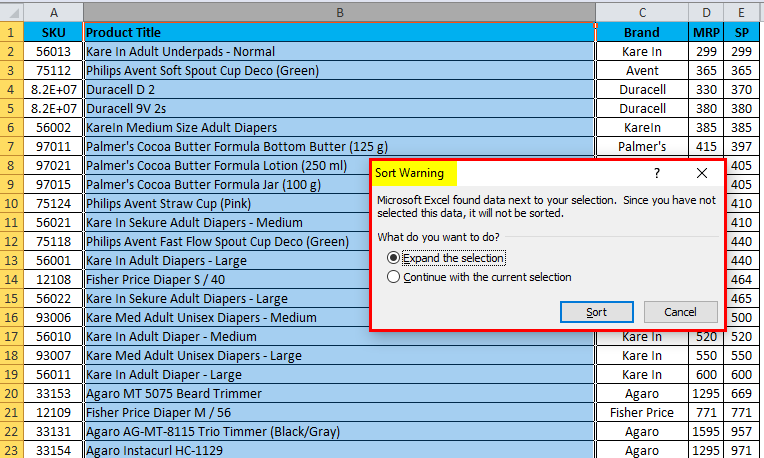 Excel is an amazing tool for analyzing various data’s like sorting and filter, Column Sorting in Excel allows us to arrange the data to the specific rules i.e we can sort the data in ascending or descending order where excel has various sorting features that we are going to see in the below examples. How to Sort Column in Excel? 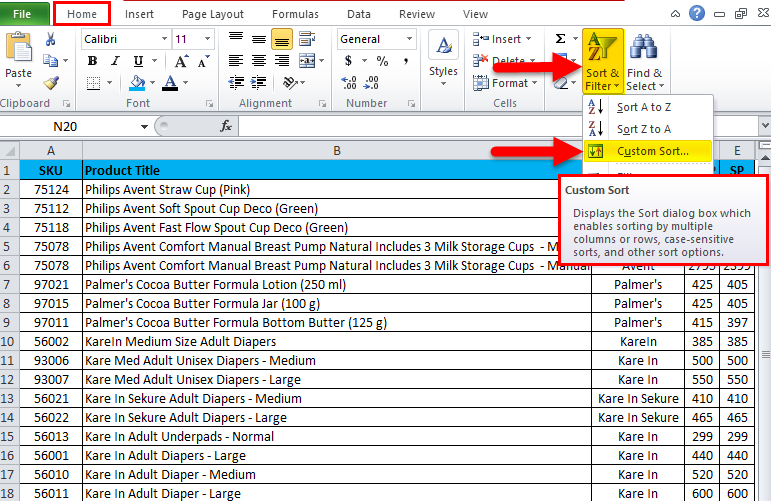 In excel we can find the SORT under the DATA menu as shown in the below screenshot. Where we can find the sort option like A to Z (Ascending to Descending order ) and Z to A (Descending to Ascending Order). 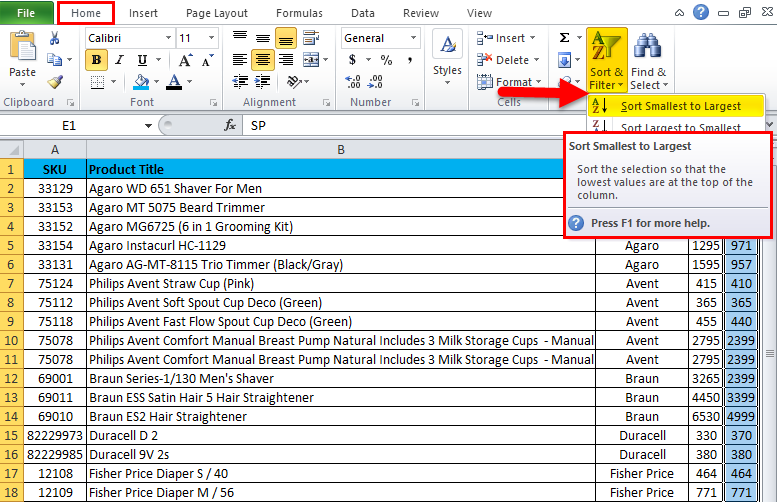 Sort Column in Excel is very simple and easy to use. 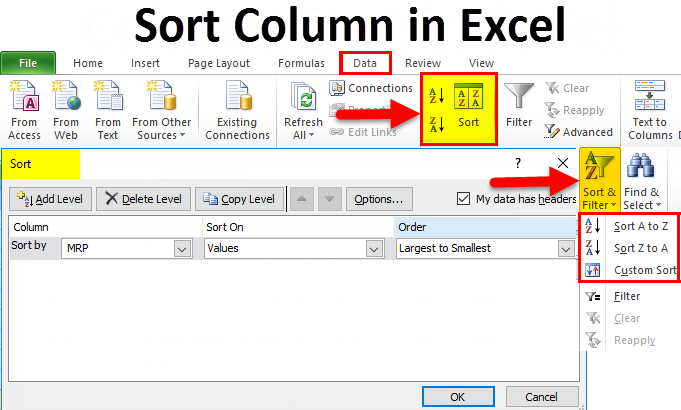 Let us understand the working of Column Sort in Excel by some examples. 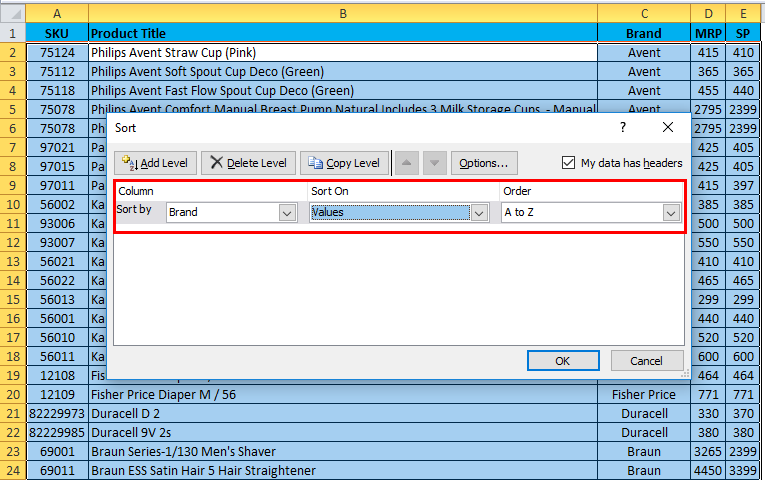 In this example, we are going to see how to use sort function by using the sales data available in the database as shown below. 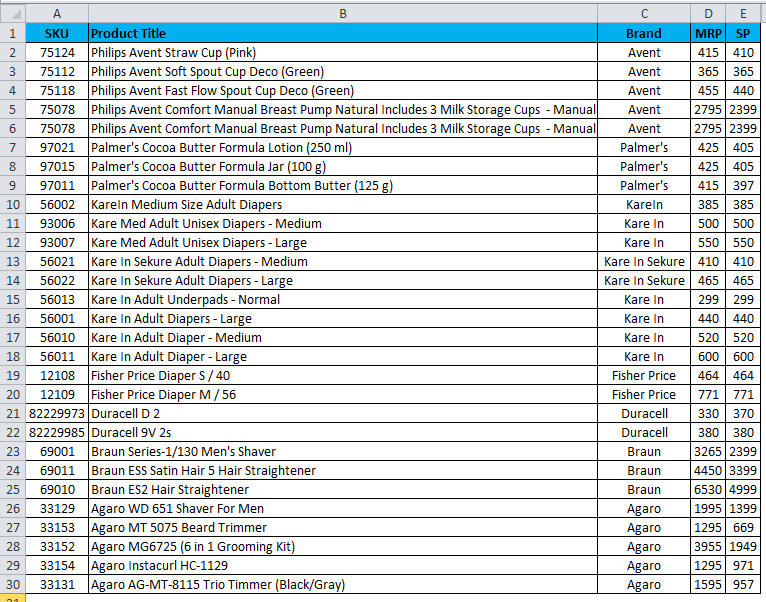 First, select the column B, a column named product name & apply the sorting. Choose the A to Z Sorting as shown below. Once we click on the A to Z option we will get the below dialogue box as follows. Continue with the current selection. 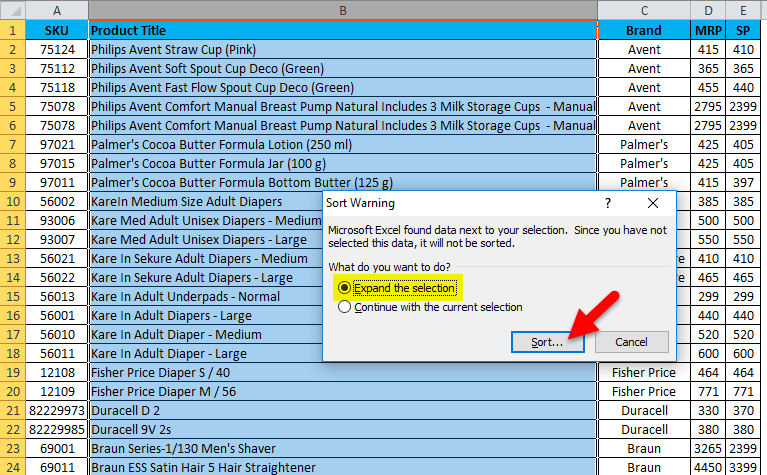 Choose the first option to Expand the selection and Click Sort. The result will be displayed as A to Z order. In this examples, we will try to sort out the sales data in a reverse order i.e. Using Z to A Sorting. Consider the same sales data and apply to sort by following the below-mentioned procedure as follows. 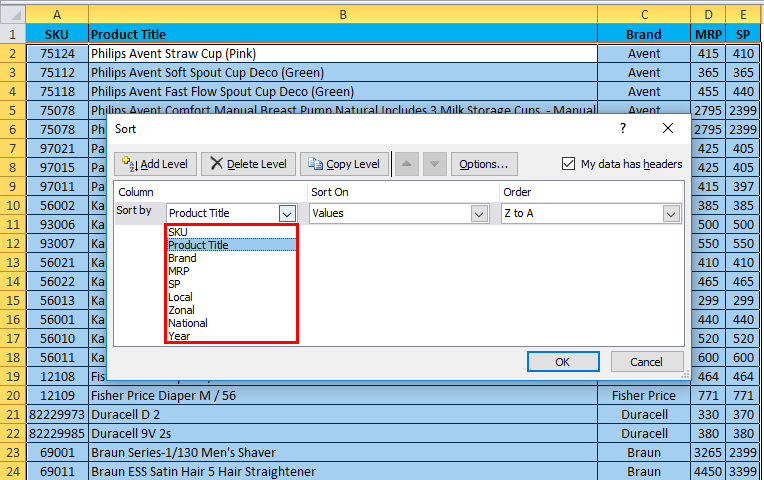 First, select the column B column named product name & apply the sorting. The result will be displayed as Z to A order. 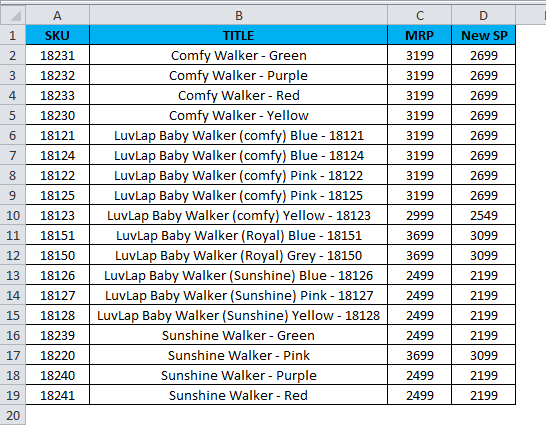 We will get the sales data arranged in Z to A format as shown below. 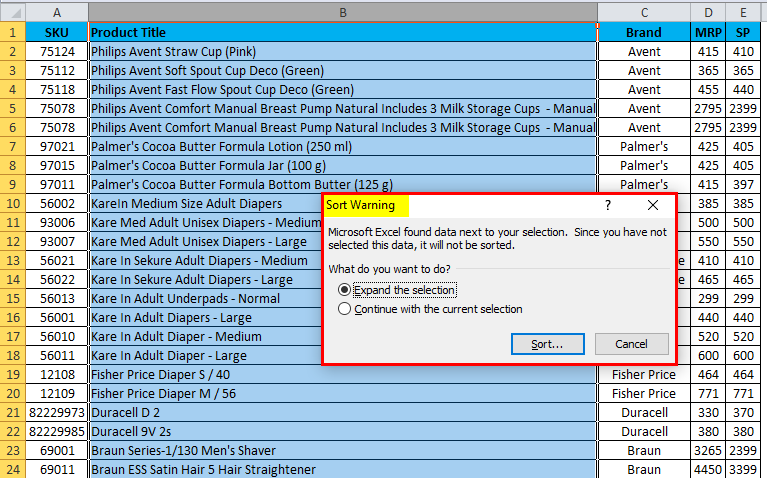 In this example we are going to see advanced sort option which allows us to sort out multiple options, So that we can get the specific data what we are looking for we can find custom sort under sort opting as explained below. 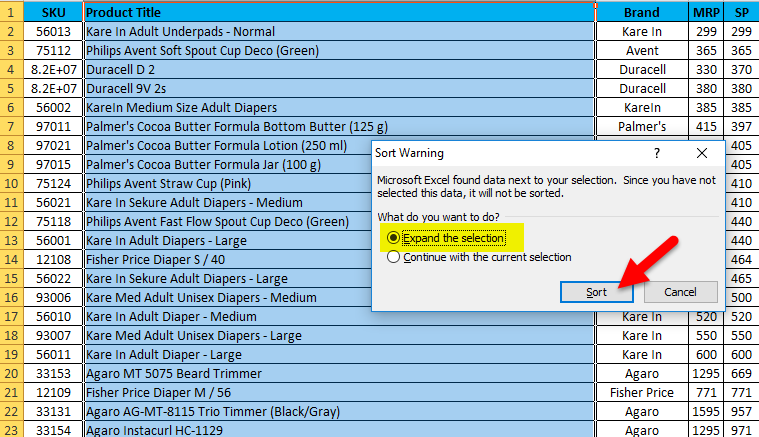 Choose the custom sort option where we will get the sorting dialogue box as follows. 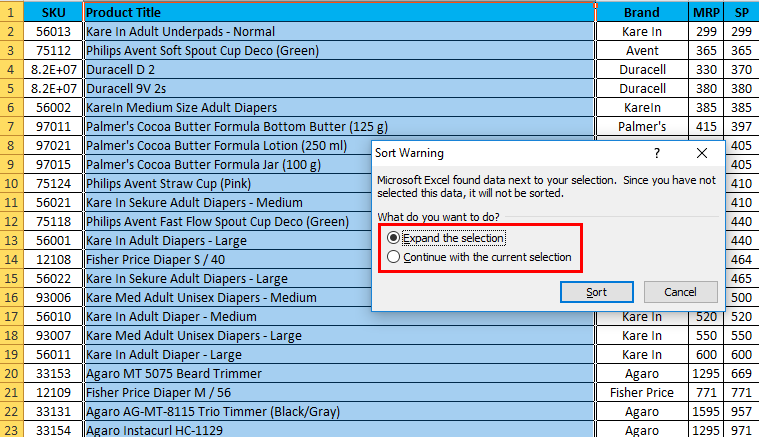 Sorting option will ask to expand the selection or to continue with the current selection. We will get the custom sort option dialogue box with multiple sorting as shown below. We can see that in the above screenshot that has three multiple sorting options as Sort by “Product Title” By “Values” and By Order “ A to Z or Z to A. 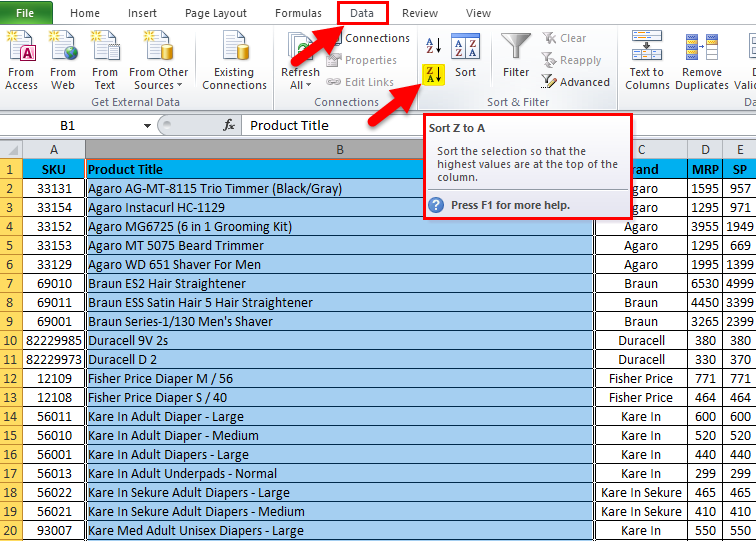 It will list the name displayed as follows which comes from the database header sales data. Now we can sort by using multiples title, values and order. 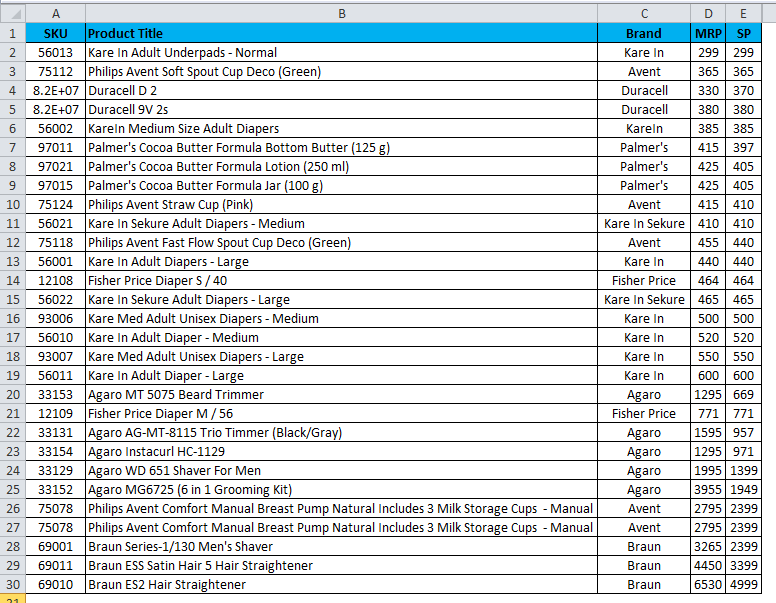 Consider that we need to sort the sales data by Brand wise with A to Z sorting order. Click on the brand option and select the order by A to Z. Sorting option will sort out the result by brand wise from A to Z order as shown below. 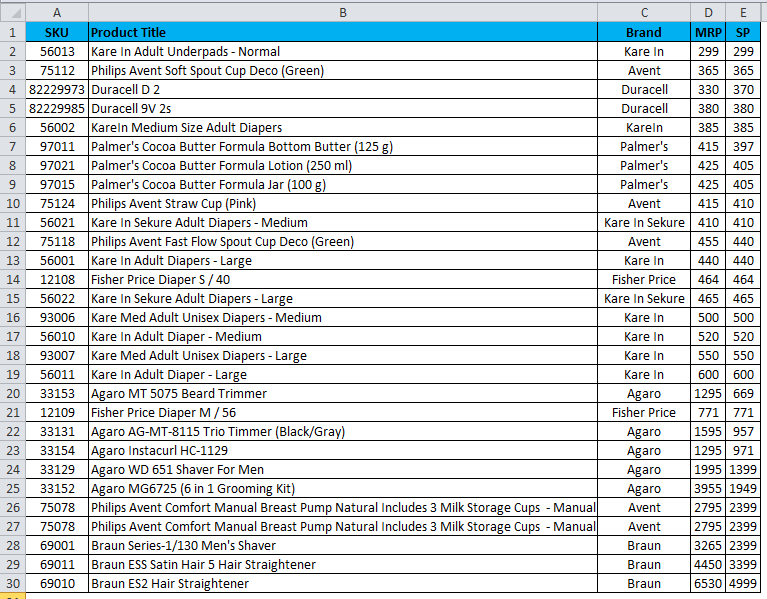 We can see that in the above example that brand column has been sorted by brand wise with A to Z order. 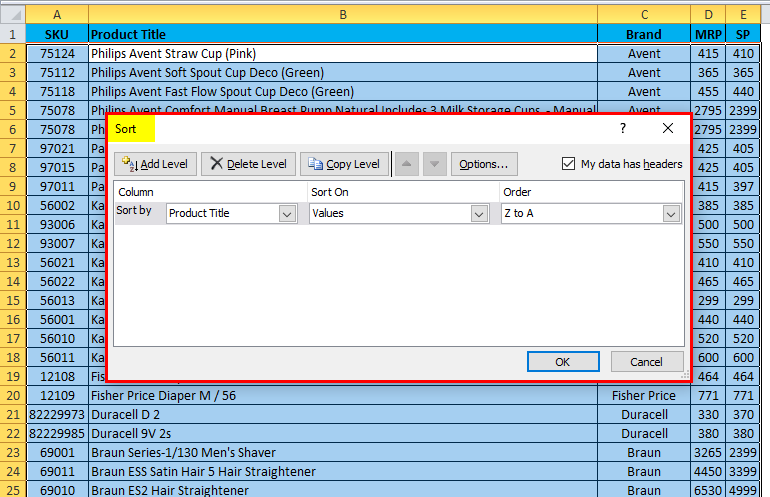 In this example, we will see how to sort the sales data by using numbers. 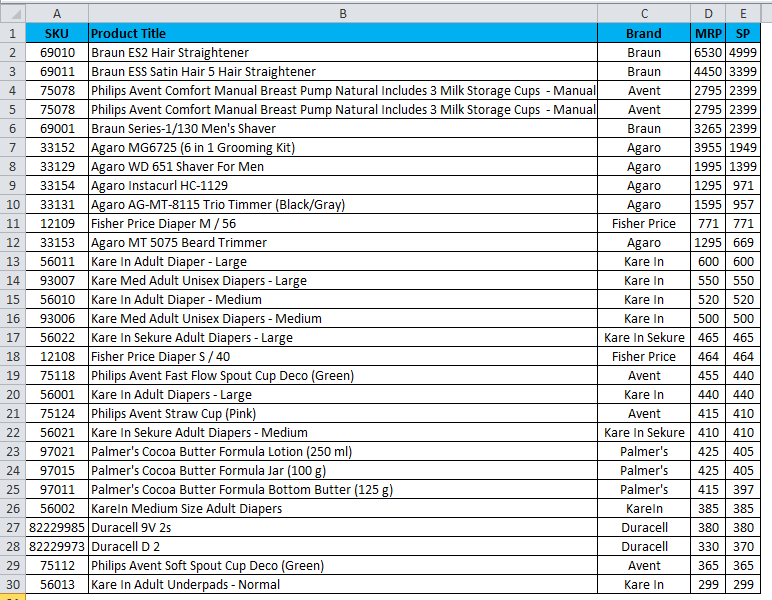 Let’s consider the sales data which has selling price for different products as follows. So if we want to find out the least selling price of the product in huge sales data it’s very difficult to find out the exact least selling prices. In this scenario, we can use the Sorting feature by using numbers where its sorts to ascending to descending order and vice versa. Let’s see the example with sales data with sorting the numbers. 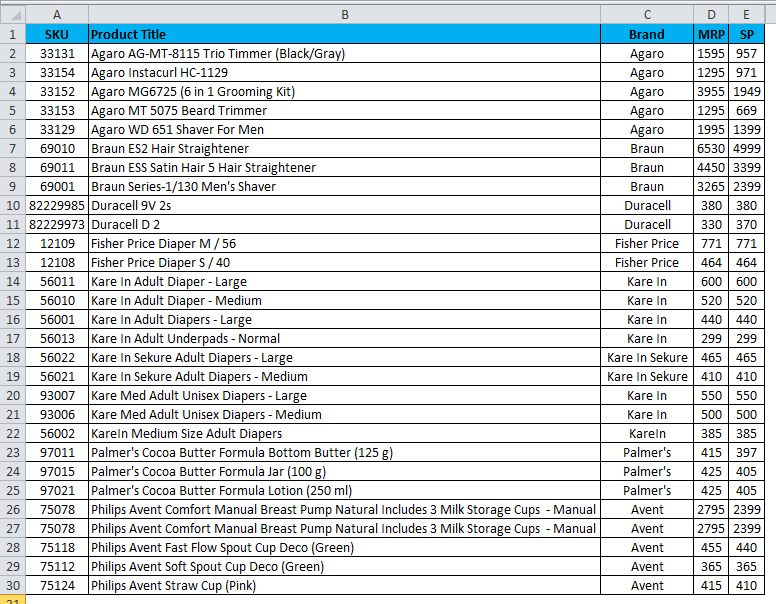 Here we can see the sales database which has the product name, Brand-name, MRP and Selling prices now let’s see how to sort the numbers from smallest to highest. 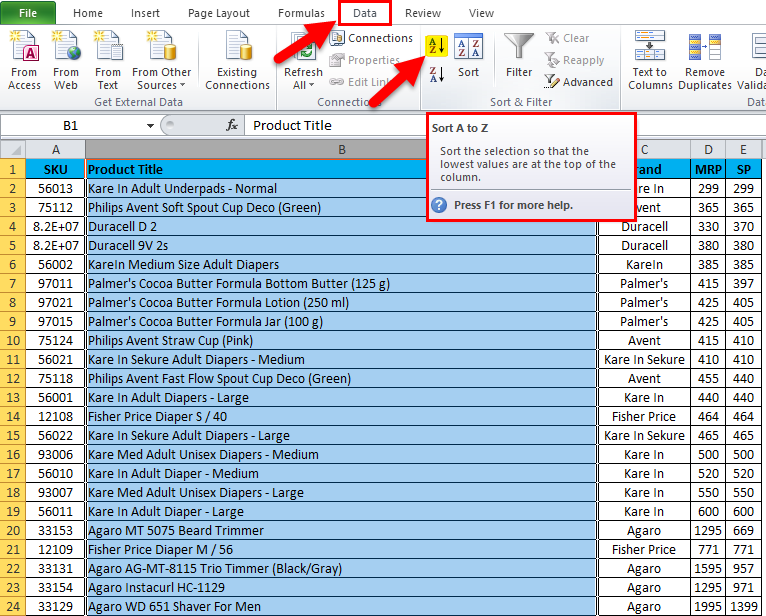 Select the E column cell named SP to sort out the Smallest to Highest numbers. Go to sort option as follows. Once we click the sort option we can see the sorting options like smallest to highest and highest to smallest. Select smallest to highest to get the least selling price. Now we can see the difference in selling price that it has been sorted from smallest to highest numbers. Same like this we can do vice versa to get the highest selling price to lowest selling price by using the sorting opting “Largest to Smallest. 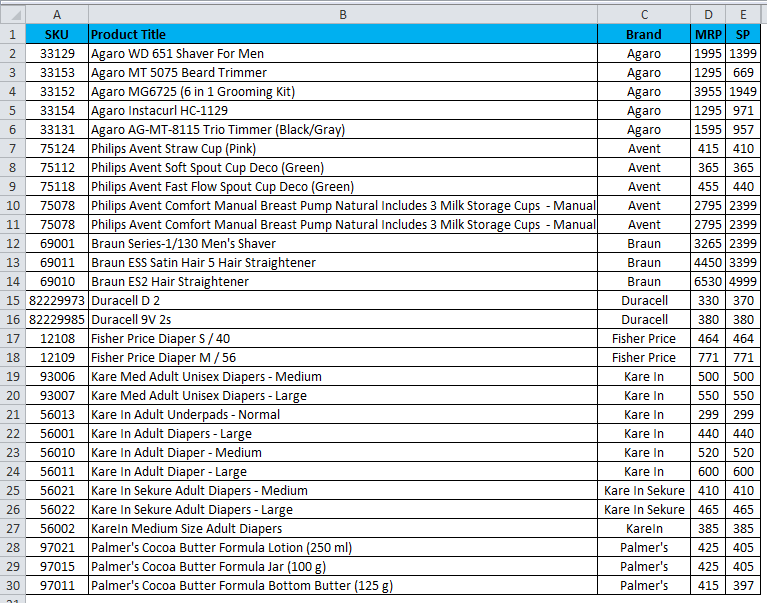 In this, we will see how to get the highest selling MRP for a specific product by using sorting. Choose the MRP cell and go to the sorting option. Choose Sorting option Largest to Smallest. The sales data will be rearranged as follows. 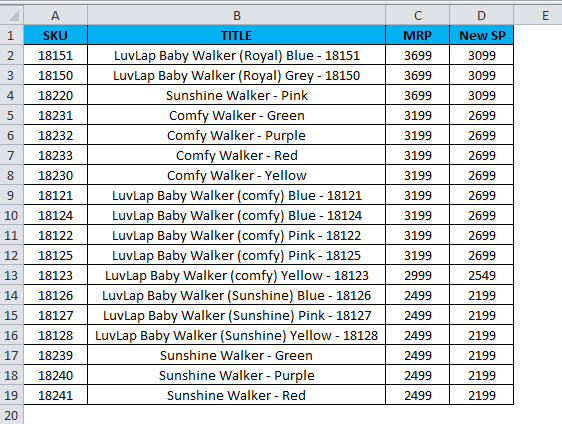 Now we can see the sales data very clearly that MRP column has been sorted from largest to smallest in. Now we can configure easily that the above products are selling in highest MRP. Don no use blank column while using sorting in Excel. 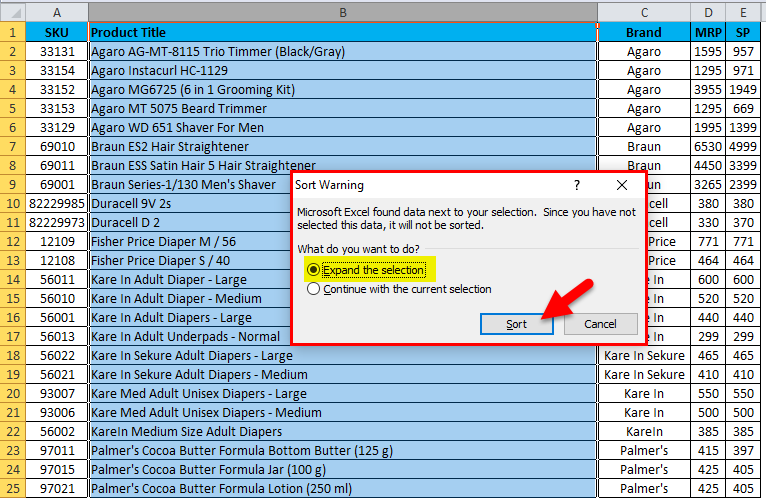 Do not hide the column in Excel while using sorting because once the column is hidden they cannot be moved while using sorting. So it’s better to unhide the column before applying to sort. 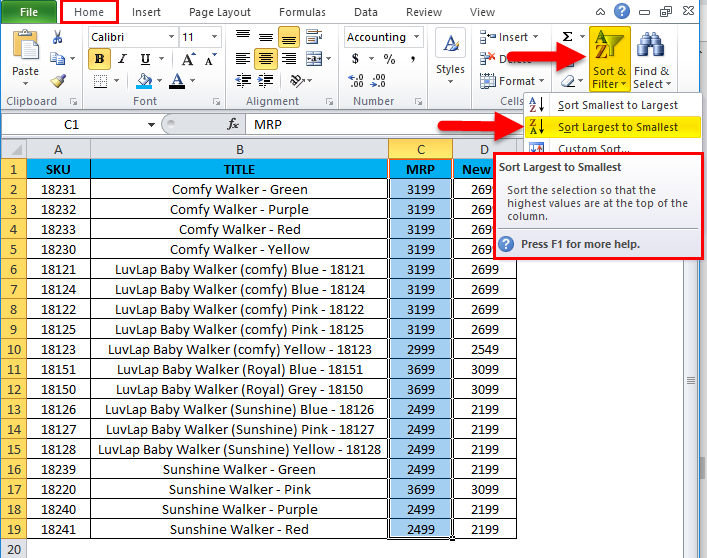 Enter the caption header in one row and do not merge the cell while sorting a column in excel.